Genius Brands International's (Nasdaq: GNUS) all-new preschool series debuted on Nickelodeon's Nick Jr. Yesterday morning we held a conference call to discuss the early ratings performance of Rainbow Rangers on Nickelodeon and the transformational impact we foresee it having on the revenues and earnings of Genius Brands International. There is nothing more important on our immediate agenda. Before doing so, we took a moment to share some highlights from our recently released 10Q statement, which went out last Wednesday November 14 for the Q3 period ending September 30, 2018. Revenues for the three-month period increased 103% to $523,175, versus the same period in 2017. Licensing revenues increased by $116,245 due to advances for both Llama Llama and Rainbow Rangers during this period. Kid Genius Network broadcasting revenues increased by $108,619 due largely to increased revenues from Twitch and Amazon Prime subscribers beginning to grow. Home Entertainment revenues went up by $41,516 due to the Llama Llama delivery to our home entertainment partner NCircle. Total expense during the period increased by $353,951 largely due to ramped up production, and that ramp up of production will continue as we have already been contracted with Netflix to do a second season of Llama Llama and additionally, our expectation to shortly begin a second season of Rainbow Rangers. More details across all areas are in the 10Q, but there is a now a trend emerging of a company with growing revenues across all of its key sectors. Having said the above, without further ado, I want to get to Rainbow Rangers. Last week on Monday, November 5, Genius Brands’ new animated series Rainbow Rangers began broadcasting on Nickelodeon’s preschool channel Nick Jr. It has been the culmination of four years of work, which began with key retailers telling us they foresaw both a vacuum and an opportunity in girl’s preschool products in 2019. As many of our investors know, we went about recruiting a unique team of the strongest creators in the kid’s entertainment industry. They included the director of Disney’s Lion King, the co-writer of Disney’s Frozen, and the character designer of virtually every Disney character from The Little Mermaid through Frozen. Alongside them, we built the best animation team I have been a part of in my three decades in this business, having produced over 5,000 half hours of Emmy and award-winning animation, which has included numerous billion-dollar brands such as Strawberry Shortcake, Care Bears, Alvin and the Chipmunks, Hello Kitty, Inspector Gadget, Super Mario Brothers, Sonic the Hedgehog, Ghostbusters, and others. 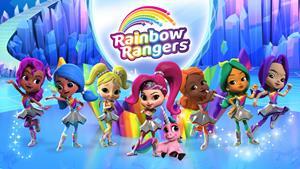 The Rainbow Rangers’ team includes the most accomplished writers, musicians, voice artists and animators. We presented the series to Nickelodeon and were fortunate that they licensed it, and subsequently, upon seeing scripts and first episodes, they placed it in their coveted 3pm Monday through Friday timeslot on Nick Jr. Through the efforts of our licensing team, led by SVP of Global Licensing Lloyd Mintz, who was the former head of consumer products licensing for Hasbro Toys, and prior to that part of the licensing unit of the Walt Disney Company, we secured an exceptional lineup of consumer product manufacturers, recognized as the tiffany licensees in the industry, almost all of whom are 1st tier Disney licensees and the leaders in their respective category. Beginning in July and August in 2019, we will launch the U.S. retail program for Rainbow Rangers with over 300 branded products debuting across all categories of kid’s consumer products. Master Toy partner Mattel will premiere a range of toys, including collectible dolls, 3-inch dolls, 6-inch dolls, traditional fashion dolls, role play items, and a playset. Other product categories from the roster of blue-chip partners include apparel, publishing, sleepwear, bedding and bath, footwear, bags and backpacks, Halloween costumes and accessories, youth consumer electronics, health and beauty aids, cosmetics, bicycles and ride-ons, and a Rainbow Rangers live touring show from the Gershwin Company, producers of the Charlie Brown touring show and the Sesame Street touring show. I am ecstatic to report that we have now received ratings from the first week of broadcast. They are the earliest indicators of Rainbow Rangers’ success, and they have been very, very strong. We have verified these with Shelly Hirsch, CEO of Beacon Media, the largest advertising buyer in the kid’s business, and based on them for the first week, Rainbow Rangers showed a number of very strong metrics. The first and most important metric looked for is whether a show is able to retain the audience of its lead-in show. In our case, the lead-in show is Shimmer and Shine, an established Nickelodeon franchise playing in the 2:30-3pm time slot. Based on Nielsen ratings for the week of Monday, November 5 - Monday, November 11, Rainbow Rangers retained and grew its audience from its lead in show, against all demos, all genders, and on all days of its first week of broadcast. Separately, the margin by which Rainbow Rangers grew its audience from its lead in, increased daily. By Friday, Rainbow Rangers had showed 153% growth coming out of its lead-in show, against its key target demo of Girls 2-5. In what has been a declining market, Rainbow Rangers increased Nick Jr’s season average by 15%, and additionally, it outperformed Nick Jr’s prior premiere week programming by 21%. This was all the more impressive, in light of the fact that Tuesday was an election day and kid’s viewing was down overall that day because an inordinate amount of adult viewing occurred watching election coverage. Wednesday kid’s numbers bounced back and continued to grow the rest of the week. After reviewing data from the first two days of broadcast on Nick Jr., Nickelodeon informed us they had added encore plays of Rainbow Rangers on Sat 11/10 at 6:30p (lead-in Bubble Guppies) and Sun 11/11 at 7:30p (lead-in Shimmer and Shine) to build further awareness for the show, and sample it in new timeslots, alongside various shows. Paw Patrol is the juggernaut on the Nick schedule, and while we did not beat Paw Patrol for the weekly average, I should point out that it is a boy’s property, not a girl’s one, and has an audience curated over a five-year history, and had 41 broadcasts on Nick Jr. over the week versus the seven for Rainbow Rangers. Paw Patrol is a ‘mission based’ show with a number of creative similarities to Rainbow Rangers, and in fact, Rainbow Rangers is now frequently referred to by the licensing community, as the “Paw Patrol for girls”. The comparison is flattering indeed. Paw Patrol is a franchise whose toys and consumer products did over $1 billion-dollars of sales this last year and have propelled its owners, SpinMaster toys to a $5 billion-dollar market cap. As Paw Patrol becomes a ‘mature property and is now peaking, we believe that Rainbow Rangers is positioned to become the next big hit. The Rainbow Rangers trend line is strong. Especially so for a show in its 1st week. The momentum of growth through the week is a very positive sign. The kids are sampling--they like the show--and they are coming back greater each day. And, just as Paw Patrol indexed inordinately high with girls, Rainbow Rangers is indexing inordinately high for boys, both 2-5 and 6-11. We are starting to get a picture of an emerging hit. What is the importance of this to Genius Brands, our revenues, our earnings, and ultimately our stock price? It is the basic connection between viewership and consumer products. A kid’s show, which draws viewers, also sells licensed consumer products to kids. Years of industry experience indicates that a hit show typically sells a lot of consumer products. As I said, Paw Patrol sells over a billion dollars a year of product now and has turned SpinMaster from a small toy company into a $5 billion-dollar market cap enterprise, in a relatively short time. At Genius Brands, we have meticulously curated the very best licensees in the industry place. Starting as I said, with Mattel Toys to every possible category of kid’s product. Over 300 SKUs are poised and standing ready to be introduced into the marketplace in Q3, 2019. We continue to sign new licensees and expand the various product offerings. The average royalty across all our product licenses is 10%, which means, that the company is paid a 10% royalty on all wholesale sales. I underscore this is without inventory risk, without manufacturing or marketing costs, or costs of any kind associated with the products. I should add on a personal note that, those of us inside Genius Brands who have worked on Rainbow Rangers now for the better part of four years from conception to marketplace, take pride that we also have a property ,which is not only showing the signs of a looming commercial success, but one grounded in positive values and positive story telling for kids. Rainbow Rangers follows the adventures of seven strong, diverse, girls with different powers, who use those powers to save the planet and its animals. The messaging is as positive as the nascent ratings success. Both of these will inure to the commercial success and the impact on our company’s revenues and earnings. It would be harder to deliver better news at this point. As weekly ratings continue to come in, we will continue to share them with our shareholders. Lastly, we also spoke a little about the untimely passing last week, of the great Stan Lee, creator (and/or co-creator) of Spider Man, Iron Man, the Incredible Hulk, X Men, Fantastic 4, the Avengers, Captain America, and so many more. People have reached out to ask how this will affect us at Genius Brands, knowing we have a joint venture with Stan called Stan Lee Comics, and together, with Stan’s company POW! Entertainment, we created half a dozen original Stan Lee properties. These properties are managed by Genius Brands now, which together with his company, and we own them jointly, 50/50. Each property has Stan Lee’s unique fingerprint, as the creator. They already exist now and are in our Genius Brands’ ‘vault’. In one property particular, Stan Lee’s Cosmic Crusaders, he plays himself in animation, and it is the only Stan Lee property in which he actually plays a role as himself. Fortunately, Stan had already recorded the voices of his character, prior to his passing. So, with the sadness of Stan Lee’s passing, I can proudly state that his legacy will live on with his latest creations, which now Genius Brands will bring in to the marketplace. We are blessed to have worked so closely with him, and now having these properties, is like having suddenly discovered 6 songs written by John Lennon that had never been brought to the marketplace. They are valuable assets, and at Genius Brands, we are fortunate to now be the steward of this precious original Stan Lee Intellectual Property. Genius Brands will diligently roll these into the marketplace, and we believe they will bring continuing value to the company as they are broadcast and exploited across all media and consumer licensing. A number of broadcasters and filmmakers have already contacted us, and we look forward to bringing them to life. As far as the launch of Rainbow Rangers, we could not possible be more excited. Standby, and we will continue to report on viewership and ratings as we come closer to product launching into the marketplace.